Replacing your roof is a considerable investment, so you want to be sure that it’s the right time. If your roof is failing, it’s important to catch the signs that you need a new roof and take action. Neglecting to replace your roof when it’s time can cause damages to the rest of your house. You can get an idea of when you will need a new roof by keeping track of how old it is. On average, an asphalt roof that is well-maintained should last 20-25 years. If your roof is made of metal, the lifespan can range from 40-60 years. A tile roof can last for up to 100 years. 2. What Condition Are the Shingles In? For asphalt roofs, look at the shingles. Are they laying flat against the surface or are they curling and buckling? Do they still have granules, or are they looking bald and dull? If the shingles are warped at all or falling apart, this is a warning sign that it may be time to replace the roof. 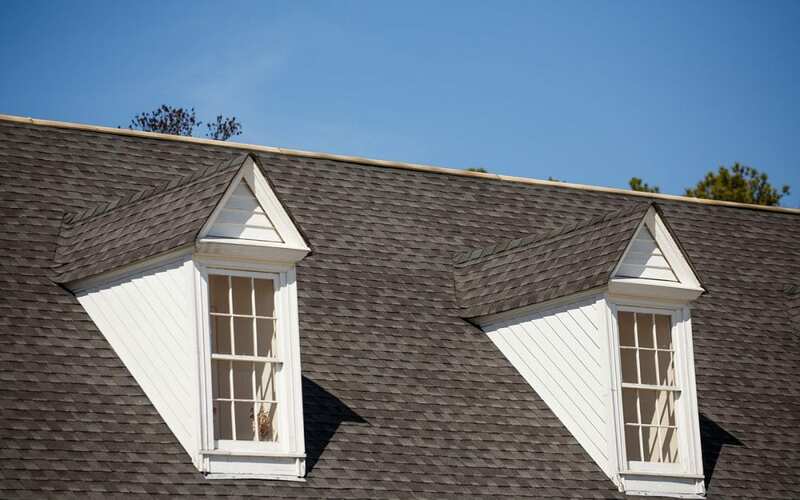 If lots of shingles or pieces of shingles are winding up in the gutters or on the lawn, your roof is on its last legs. 3. Can I See Sunlight in the Attic? When you go up into your attic, it should be dark until you turn the light on. If you are seeing sunlight peeking through, that means you have cracks that things like moisture and pests can enter through. 4. Do I Keep Needing to Get It Repaired? If you keep having to call up a roofer over and over again to patch up leaks or replace shingles, you likely just need a new roof. The cost of repairs add up and you are better off doing it right and replacing the roof. 5. Am I Finding Mold Growth Indoors? A roof that’s failing to keep water out of the home needs to be replaced. If you are noticing mold or mildew growth in places like the corners of the walls or ceiling, this could be a sign that your roof is leaking and allowing water into your home. If you notice any of these signs, it may be time to invest in a new roof before significant damage happens to your home. Contact a home inspector to inspect your roof if you have concerns. Hub City Home Inspections provides South Mississippi with home inspection services, including drone roof inspections. Contact us to schedule an appointment.